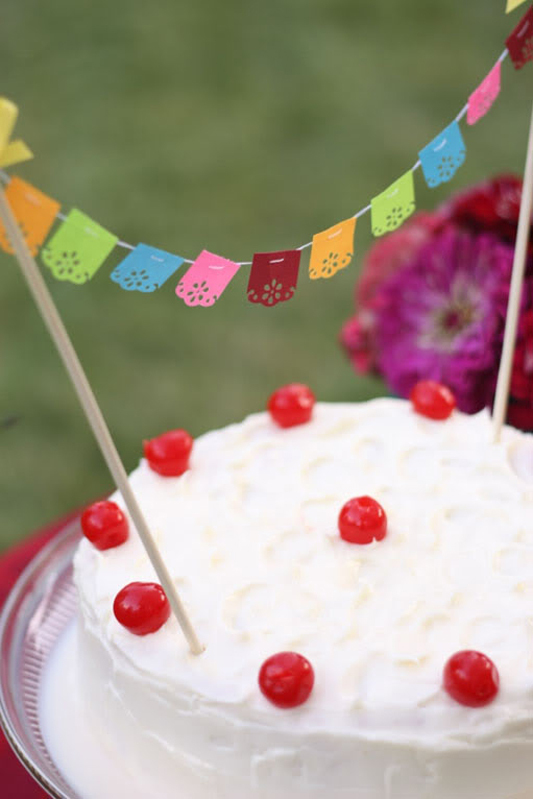 Here's a gorgeous way to add a little fiesta feeling to your cake. This simple papel picado banner was made by punching some colourful paper to make the little flags, then they were threaded onto a string and tied to skewer sticks with a little ribbon. So easy! omigoodness! This is too cute. I love it. xoxo!